Your baby is growing right before your eyes. 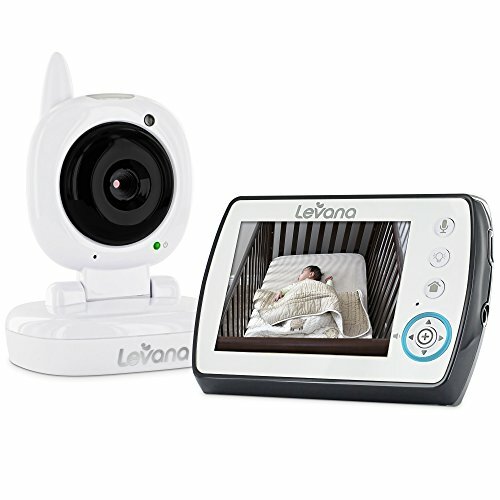 Rest assured knowing they are safe and sound with the Ayden Digital Video Baby Monitor. Designed with your needs in mind, Ayden features a bright 3.5inch LCD screen, 48 hours of battery life, 15ft of night vision with invisible LEDs, and a gentle nightlight to soothe baby before nap and bedtime. 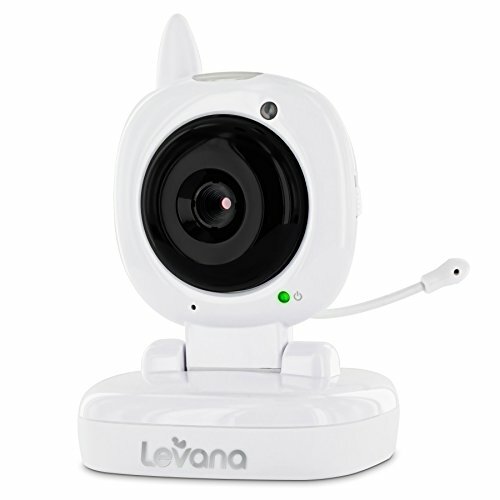 Using Levana’s ClearVu technology experience a private, secure and interference free digital signal up to 750ft away. We know how important it is that your baby is comfortable. 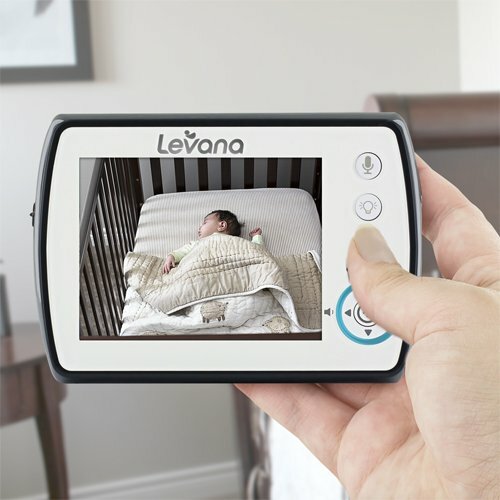 With sensors built right into the camera, check in on the nursery’s temperature from anywhere your monitor goes. And when baby starts to make a fuss, use the Talk to Baby two-way intercom to soothe them from afar. Ayden features three calming lullabies remotely activated from the parent unit to lull your little one to sleep. When using the eco-friendlly power saving mode, the smart LED indicator ring on the outside of the parent unit will alert you when baby makes a peep so you can get some rest too. And with an expandable system and lifetime customer support, Ayden will grow with your family so you can worry less and do more.